While we have an incredible bunch of people in the Ubuntu community, at Canonical and upstream that fixes bugs, we are always looking for good people to hunt down these bugs and report them. Reporting bugs is the only way for developers to know about the bugs you experience and to fix them and make Ubuntu the best Operating System it can be. But it is absolutely crucial that we have enough user to test the entire system on various hardware, and that these users provide the developers with good bug-reports. From the Windows 7 download site, Microsoft can see that 8 million users download the Windows 7 BETA release!Microsoft also has these telemetry data that they get. Whenever anyone installs the Windows 7 BETA, they will automatically enroll into the customer feedback program. In the RC release and the final release it's an opt in program, but back in the BETA the deal was; "Hey, you're BETA testing this thing, we want the feedback - you have to provide us with this information!". From the data collected by the customer feedback program, Microsoft was able to see that the testing pool wasn't 8 million, as the download site indicated, but instead 15 million people! So, this means 7 million people obtained the BETA or RC release of Windows 7 from elsewhere (Bittorrent, etc.). I have no idea how many people tested the Karmic Koala alpha/beta/RC, but I'm sure the number is "slightly" smaller. It is impossible to calculate how many people is using Ubuntu. Ubuntu, and Linux in general, is getting a lot of spotlight from the press lately, which helps bring new users to Linux every day. More user means more software testers. It seems to me that the average judgment in the Windows 7 vs. Ubuntu 9.10 reviews, says it's a close race and the score is roughly even. 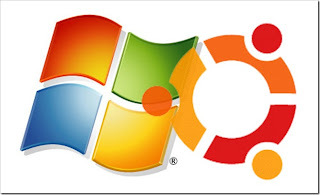 Some like Windows 7 better and some like Ubuntu 9.10 better. Basically, I don't freaking care. I couldn't care less about a boot race when I know that Karmic Koala is merely a stepping stone. You could of course argue that every release is, but Windows 8 isn't due until early 2012. Six months from now, Microsoft will still be shipping their new flagship, while Ubuntu will be releasing Ubuntu 10.04 - the Lucid Lynx. At this point, Windows 7 will be fighting the fastest, most solid and most beautiful version of Ubuntu ever. Thanks for mentioning this - yes, it is very important that we help by reporting bugs! And different from Windows I have the impression of being heard. In the past many Windows users refused to report bugs because it was difficult and they did not feel that it makes a difference (which might have changed, I don't know). Report bugs still is a boring job.